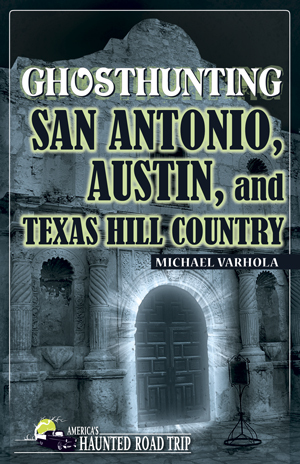 Ghosthunting San Antonio, Austin, and Texas Hill Country by Michael O. Varhola is the latest addition to the popular haunted travel guides series and will be in a book store near you as of September 15. Clerisy Press is excited to celebrate this new addition to America’s Haunted Road Trip series with a GIVEAWAY, but first more about this new hands-on guide. 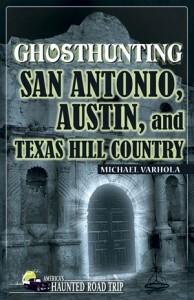 Local author Michael O. Varhola drew upon his training and experiences as a historian, journalist, and paranormal investigator while compiling this colorful and useful guide to publicly accessible haunted places in San Antonio, Austin, and Texas Hill Country. This guide fits every visitor’s needs with coverage of the paranormal, traveling the area, and Texas history. About the author: Michael Varhola is a writer who has authored or coauthored 34 books and games — including the swords-and-sorcery novel Swords of Kos: Necropolis, and two fantasy writers guides. He has also published more than 120 games and related publications. He is the founder of game company Skirmisher Publishing LLC, editor in chief of d-Infinity game magazine, and editor of the America’s Haunted Road Trip series of ghosthunting travel guides. 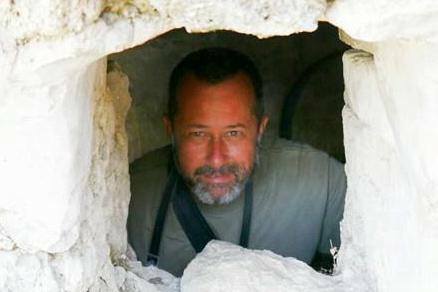 He has edited, published, or written for numerous publications, including The New York Times. He also has an active online presence, notably through Facebook and a variety of other blogs, forums, and sites. He lives in Texas Hill Country. About the series: America’s Haunted Road Trip is a one-of-a-kind series of haunted travel guides. Each book profiles more than 30 haunted places open to the public. From inns and museums to cemeteries and theaters, the author visits each place interviewing people who live and work there. Also includes travel instructions, maps, and an appendix of 50 more places the reader can visit.